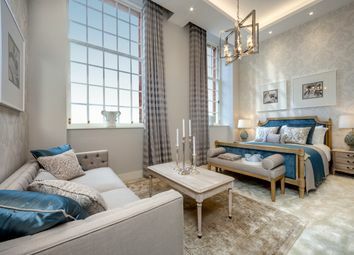 Apartment 42 is a splendid and uniquely refurbished apartment within The Star and Garter, created by London Square. Its many advantages include 2,293 sq ft of meticulously refurbished, highly specified living space, 3 bedrooms, 3 bathrooms, 2 terraces, a cloakroom and useful storage cupboard. Its position at the rear of the building means there are breathtaking views across the south terrace of the restored private gardens and its central fountain. These views can be admired from the Master suite and the living room, as well as from the two private terraces. Both terraces can be reached via double doors opening from the living room whose dimensions are an impressive 26'3" x 20'8". This apartment has a separate 23'0" x 19'0" kitchen/dining room, a wonderful space for family life and more formal entertaining or quiet private time. 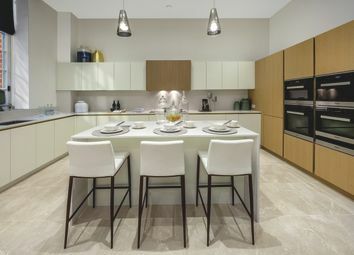 Carefully selected handleless cabinets with a lacquer and wood finish tall units with LED under-unit lighting. 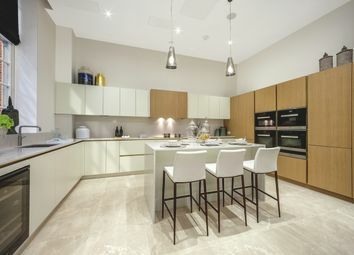 They are offered with a choice of stone worktops, upstands and splashbacks* and the full complement of Miele appliances, allowing you to create your own signature style. 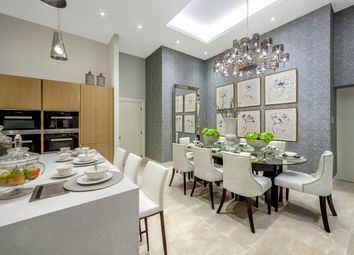 All three bedrooms are double size, all with en-suite facilities and a choice of carpet*. 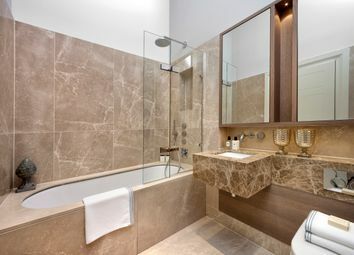 The Master suite is especially impressive, with its dressing area containing glass or mirror fronted fitted wardrobes and an en-suite with a walk-in shower featuring Drench style shower head, a luxurious classic duo oval bath, Fantini brassware and Jack & Jill washbasins. There is direct access from the bedroom onto one of the private terraces through two sets of double doors; giving breathtaking views to wake up to. 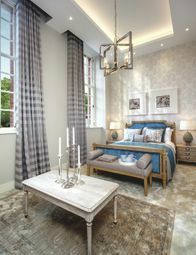 Bedroom 2 includes a dressing area with built-in wardrobes, and an en-suite with a bath, while bedroom 3 has built in wardrobes and an en-suite shower room. 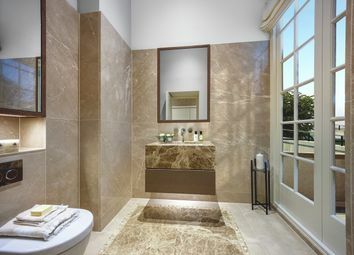 All sanitaryware is by Villeroy & Boch, and the bathrooms also feature marble polished worktops and upstands, and a choice of marble finishes to the appliance walls, floors, shower and the bath area*. A cloakroom is an additional practical facility. 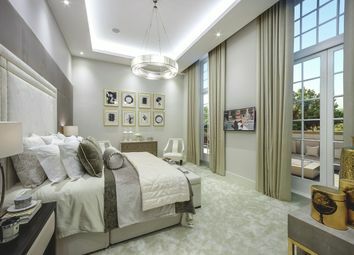 This outstanding apartment not only features a custom designed luxury specification, such as underfloor heating throughout, comfort cooling to the living areas and bedrooms and bespoke entrance doors, but also benefits from access to the restored historic communal landscaped gardens, which offer the breathtaking 'Turner's view' of the River Thames and Petersham Meadows. 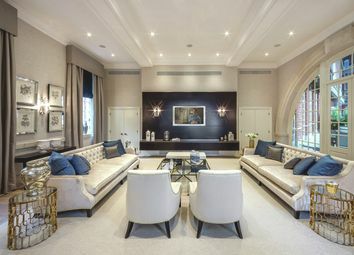 The Star and Garter is an iconic Grade II Listed Star and Garter building, which dates back from 1924 and has recently been transformed into a collection of 1,2,3 and 4 bedroom apartments, restored and specified to the highest possible standards. 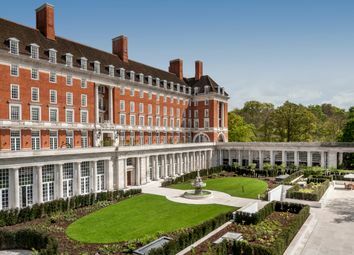 Situated within Richmond's most famous landmark, these are stunning, unique residences. Facilities are of the calibre of a five-star hotel, and include a leisure suite with a pool, spa and treatment room, concierge, and town car service, providing an incomparable lifestyle for residents. 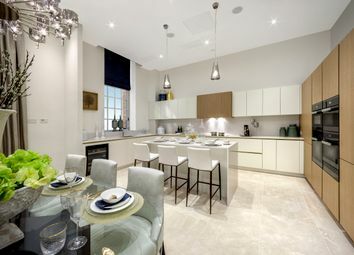 Underground parking has been created in the basement level of the building*, while many of The Star and Garter's original features remain, making this an exquisite place in which to live. The building has a spectacular setting on Richmond Hill, with Richmond Park and Petersham Meadows both within a few minutes' walk. 'Turner's view' of the Thames is visible from the gardens. 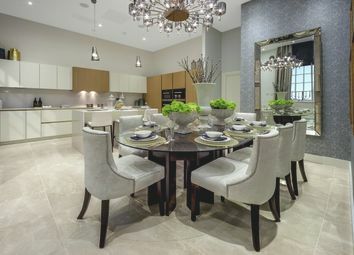 Petersham Common and Meadows, their mature woodland and open spaces giving the feeling of the countryside in town, are within a few minutes' walk and form your back garden. Richmond Park, the largest of the Royal Parks with its 2,500 acres and herds of wild deer, is so close that it is effectively your front garden. The setting is undoubtedly magnificent and is complemented perfectly by our transformation of the Star and Garter. This is a once in a lifetime opportunity to live somewhere truly remarkable. The Star and Garter has the best possible location. It is so close to Richmond Park that this is effectively your front garden. Here, nature flourishes in all its forms, from ancient trees to rare beetles, and the profusion of flowers and shrubs in the Isabella Plantation attracts a wide range of birds. The park is, of course, famous for its herds of red and fallow deer, which roam freely. In Pembroke Lodge, a Georgian mansion, you can take tea in the most elegant surroundings. You can also play golf, fish in Pen Ponds, play rugby, run or cycle, take part in outdoor fitness classes or even try your hand at power kiting. Horse riding is another enjoyable way to explore Richmond Park. And there are wonderful views everywhere. It's even possible to see St Paul's Cathedral from the vantage point of King Henry's Mound, close to Richmond Gate. The Thames is at its most beautiful as it makes its way through Richmond, and there are many opportunities to admire it at leisure from the numerous bars and restaurants that line the riverbank. Some of the best sightings of the Thames can be enjoyed from Terrace Gardens and Petersham Meadows, directly behind The Star and Garter. This is the 'view from Richmond Hill' that has inspired so many artists. While the view is undoubtedly spectacular, it's easy to get much closer to the water. Walkers and cyclists can travel for miles towards Kingston or Kew and beyond. Of course, the river itself is a way to travel, whether you hop onto a pleasure boat or take the oars yourself, hiring a boat from one of the many boathouses in the locality. Enjoyable summer events are also focused on the river at Richmond. These include the Great River Race, Richmond Amateur Regatta and Richmond Riverside Festival, all celebrating London's famous river. Richmond has an engaging cultural life which encompasses cinema, theatre, art and music. The Orange Tree Theatre and Richmond Theatre are well known and the town has no fewer than four cinemas to choose from. The local art scene is extensive and includes Orleans House and the Stables Gallery in Twickenham, the Riverside Gallery in Richmond and the Landmark Arts Centre in Teddington. Live music of all kinds can also be enjoyed in and around Richmond. Jazz fans will know of the Richmond and Twickenham Jazz Club, one of the most respected in the country. During the summer months, music of every genre is performed in some glorious outdoor settings. Kew Gardens has its own summer festival, Kew The Music, Marble Hill House puts on the House Festival, while the Hampton Court Palace Festival features some of the most revered names in rock and pop, as well as Opera on a Summer Night and the Royal Philharmonic Classical Gala and Fireworks. Richmond is the ideal location for anyone who enjoys eating out, with dozens of options in the town centre and along the riverside. Some of the most highly regarded are Matsuba for exquisite Korean food; Petersham Nurseries Cafe, serving refined food in charming rustic surroundings; and The Bingham, a smart restaurant in a Georgian townhouse hotel overlooking the Thames. At the Petersham Hotel Restaurant, award-winning cuisine or traditional afternoon tea can be enjoyed overlooking the river. The best in French and Italian dining can be found in Al Bocco Di'vino is Non Solo Vino, Restaurant 109, Chez Lindsay and La Buvette. Richmond also has some excellent pubs, many of which have dining rooms attached or the added advantage of a riverside location. One Paradise Road is a popular wine bar, and if cocktails are to your taste, you can order an expertly-made concoction at Coco's or SoBar. Finally, two unusual eating places are worthy of mention. William Curley is a temple to extravagant chocolate and patisserie; while anyone in search of seriously good ice cream heads for Gelateria Danieli on Richmond Green. Richmond town centre has an exciting range of shops, many of which specialise in fashion and luxury goods. 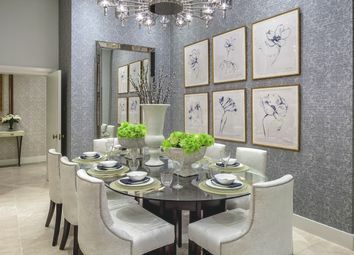 Richmond Hill is particularly well supplied with designer boutiques and antique dealers, but the whole of the town is a paradise for keen shoppers. Anyone with a serious interest in fashion will find plenty to please them in Richmond. Some of the desirable labels on display include Matches Fashion, Joseph, Max Mara, L K Bennett, Brora, Jo Malone and Whistles, as well as independent boutiques offering the finest in European design. Male shoppers can choose from Ted Baker, T M Lewin, Gant, or order a bespoke suit at The Richmond Hill Tailor. Richmond's department store, House of Fraser, also stocks an excellent range of premium fashion and beauty brands. Richmond shopping covers a great deal more than fashion, and those who want the finest quality food and wine will love browsing in the town centre. Everyday food shopping can be done in Waitrose, Marks and Spencer and Sainsbury's, but if your preference is for organic, try the new Whole Foods Market in George Street. At the weekends you also have the opportunity to shop for edible specialities at the Saturday Farmers' Market or the Sunday Artisan Food and Craft Market, both held in Heron Square near Richmond Bridge. Wine merchants include the quirkily named Philglas and Swiggot, while Hansel and Pretzel is a German delicatessen. Richmond also has its share of traditional butchers, greengrocers and bakers, including mouth-watering patisserie at Paul. Richmond Station is 0.7miles from The Star and Garter and is quickly reached using The Star and Garter "town car" courtesy service for residents. From here, London Underground and National Rail services are available to take you into and around London. Want to know what people who know the area really think? Use the link below and see all the results for TW10 area.